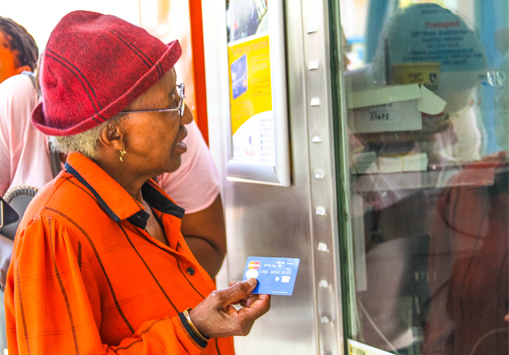 Here's everything you need to know about your Rea Vaya smartcard - where to get it, where and how to load it, what to do if something goes wrong with it, and more. Important clauses which may limit our responsibility or involve some risk for you will be in bold. You must pay special attention to these clauses. You agree that you will not use the Card in contravention of any applicable laws, regulations, Mastercard or Visa rules and/or these Terms. You can only use the Card in the Republic of South Africa. The Terms and the relationship between us will be governed by the laws of the Republic of South Africa. Always keep your Card safe. Your Card is the same as having cash in your pocket. If you lose your Card or if it is stolen and used by someone else, you will lose all the money on your Card. If you enter an incorrect PIN three times in a row, all further transactions will be denied, your card will be blocked and you will no longer be able to use the card. When you receive your Card you agree to these Terms. It is important to read and understand them before you use your Card. Whenever reference is made in these terms and conditions to us, we, our or Standard Bank, it means The Standard Bank of South Africa Limited.